As a matter of fact, when we forgot the login password of Windows operating system, we always want to get the lost password back. However, with the limited technology at present, we can just reset the password once it is forgotten. Therefore, we have to find out other solution to get into the computer, not to get back the password, because it is more important to it. Now in this article, we will share the tricks about how to reset Windows 10 login password when forgot it. There is a password hint when you create the Windows 10 account. If you are a scrupulous person, you will get the tips about the password hint that is because once you make up your mind to create the account, you will need to type the password reminder, or you are not able to continue. Therefore, when you can’t remember the password, you can see the reminder and then try to remind your forgotten password. If the lost password belongs to Microsoft account, you can reset Microsoft account password and then unlock the computer. How to do that? You can ask for the Microsoft help center for help. They will send a password reset link to you, then click it and to use the new password to enter the password. Also you can use the third-party Windows password reset program to reset Microsoft account password, as long as it supports Microsoft account password reset. The Windows Password Tool is one of them. 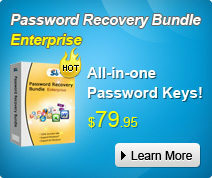 Step 1: Download and install this Windows password reset tool to another laptop that is able to use. Remember that it is another PC, not your locked computer. Step 2: Use a CD/DVD/USB to burn the software. Then take the disk to insert your locked computer. Step 3: Change your computer’s BIOS setting to start from your drive. Then restart it, you will see the software interface after a while. After that, you are going to reset Windows 10 password by the software.